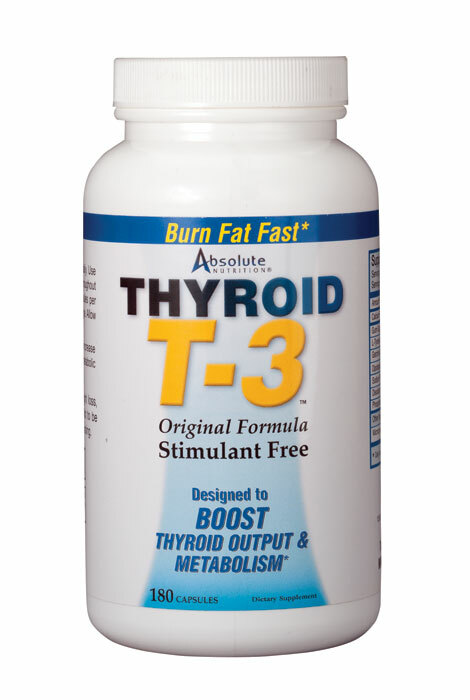 Pump up your energy and weight loss with this Thyroid T-3™ supplement. This unique T3 for weight loss supplement is a metabolism booster, making it easier to melt off the pounds. Potent natural ingredients in this supplement to boost metabolism help regulate your metabolism without the use of stimulants. 180 capsules is a 30-day supply. * These statements have not been evaluated by the Food and Drug Administration. This product is not intended to diagnose, treat, cure or prevent any disease. Until I get a diagnosis, I'm trying stuff. Pretty sure I'm hypothyroid. I take a prescription thyroid medicine. I'm trying this in hopes that it will help just as much. I'd prefer generic or homeopathic medicine versus prescription. Loose weight. I gained weight. I use this product as part of my weight management program. I have not experienced any side-affects and use it 3 times a day. Helps keep off the weight even when I have (once in a while) over indulged. Have hypothyroidism and want to see if this will help lose some weight. Is this T3 the same T3 as my Dr prescribes for me? Is there a difference? BEST ANSWER: By reading the ingredients list, this is NOT T-3 which is prescribed by a physician. TRUE T-3 is liothyronine which your body makes from T-4. Thank you for your question. We suggest to check with your doctor as they will be able to better assist you in the difference between the items. We hope this information will be of help to you. I do not have any experience with a prescription T3, sorry. Best wishes. does it contain any hormornes? BEST ANSWER: Thank you for your question. It does not contain any hormornes. The ingredients are: Calcium Phosphate, Gum Guggul Extract, L-Tyrosine, Garcinia Cambogia, Dipotassium Phosphate, Dipotassium Phosphate, Sodium Phosphate, Disodium Phosphate, Phosphatidyl Choline, Other ingedients: Microcrystalline cellulose, Magnesium stearate and gelatin. We hope this information will be of help to you.